If you researched the history of modern Israel, it is unlikely you would uncover a connection to Hants County, N.S. However, it is there to be found in a small community-run museum in Windsor. In 1918, David Ben-Gurion - who would become Israel’s first prime minister - joined a Jewish regiment within the British Army in an effort to liberate Palestine from the Ottoman Empire. Ben-Gurion, who was 31 at the time, received training at Windsor’s Fort Edward along with about 11,000 Jewish volunteers. "I think they had a good time while they were here. They were certainly welcomed by the community,” says local genealogist John Wilson. 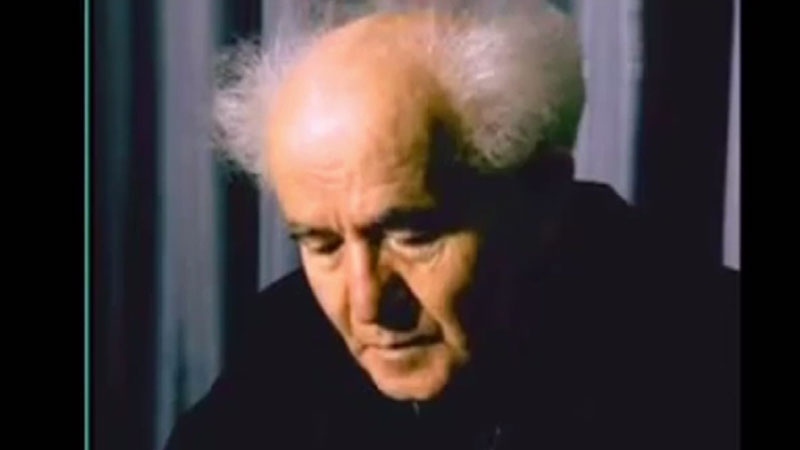 Over the next 30 years, Ben-Gurion became a primary figure in Israel’s foundation, declaring it an independent state in 1948, and then leading the fledgling country through the Arab-Israeli War as its first prime minister. At the end of his life, and after many accomplishments, Ben-Gurion wrote a letter that showed he never forgot his military roots in Windsor. "In later years he wrote a letter to the mayor of Windsor, thanking him for the hospitality of the people here,” says Wilson. That letter, to former Mayor Robert Dimock, is still on display at the West Hants Historical Society Museum. John Goldberg, executive director of the Atlantic Jewish Council, says the letter has great significance for the Maritime Jewish community. "In that we as Canadian Jews can be proud of Nova Scotia and the role Nova Scotia played and how they hosted and how they treated the Jewish Brigade and the Jewish Legion,” he says. Now, only the blockhouse remains of the original Fort Edward and its unique place in both local and world history. In 1918, David Ben Gurion, who would become Israel’s first prime minister, joined a Jewish regiment within the British Army in an effort to liberate Palestine from the Ottoman Empire.